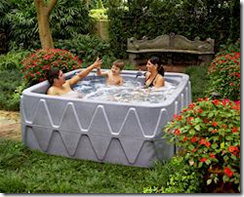 You are currently browsing the archives for the Pools and Hot Tubs category. 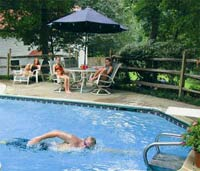 Localpoolbuilders.com can install and repair your pool for you. 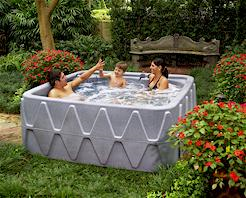 hey give price estimates, supplies, and renovations to the pool. This entry was posted on Sunday, April 5th, 2009 at 10:10 pm	and is filed under Pools and Hot Tubs. You can follow any responses to this entry through the RSS 2.0 feed. You can leave a response, or trackback from your own site. 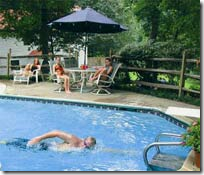 It’s almost Spring, which means that in a few months, it will be time to open your swimming pool. You can reduce chlorine usage in the pool, and you can be prepared for any problems you could have, by visiting the Pool Wizard. This entry was posted on Saturday, March 7th, 2009 at 10:38 pm	and is filed under Pools and Hot Tubs. You can follow any responses to this entry through the RSS 2.0 feed. You can leave a response, or trackback from your own site. The endless pool generates a current that is the speed you want and is wider and deeper than your stroke. It’s like a treadmill for swimmers! You can swim for as long as you like in it. This entry was posted on Sunday, February 8th, 2009 at 8:54 pm	and is filed under Pools and Hot Tubs. You can follow any responses to this entry through the RSS 2.0 feed. You can leave a response, or trackback from your own site.